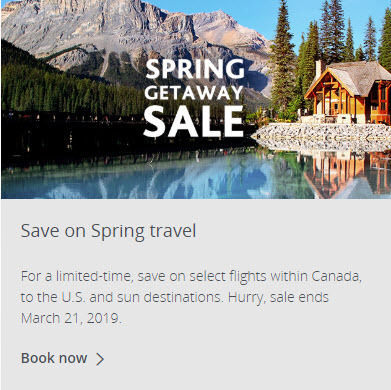 Air Canada is having a Spring Getaway Seat Sale. For a limited-time, save on select flights within Canada, to the U.S. and sun destinations. Hurry, sale ends March 21, 2019. WestJet is having a similar seat sale. Check both sites to compare prices and flight selection.